Regardless of their field of activities, our customers have found added value in the services of Green IT. Our customer list includes organisations from virtually any field, including state and municipal institutions. All your ordered assets and services will be easily visible. We help our customers focus on their core activities. By outsourcing computer management services you will gain valuable time, which you can use for developing your business and/or advancing your hobbies. We are certain that we can cut your IT asset management costs through providing various services: from mapping your needs to the disposal of equipment. We prepare your software and equipment for work. We bring in equipment, purchase and install software. We have put substantial efforts into developing the Green IT online asset management system. All your ordered assets and services will be easily visible. We are a high value-added IT service provider that operates in the Eastern European market. We have 50 motivated specialists who generate an annual turnover of over 60 million euros. By continuously creating added value for our existing and new customers, we improve their working environments while increasing the value of these companies. Green IT, established in 2006, is a rapidly growing Estonian capital-based IT company. Our home market today is the Baltic states. As of the end of 2012, our customers have entrusted us with more than 70,000 IT devices with a total value of over 10 million euros. Green IT has a total of 150 customers both from the private and public sectors. Within past 10 years Green IT has grown to market leader. Today we have 16 employees, who are professionals and looking to customers only the best solutions and offering only certified quality devices. 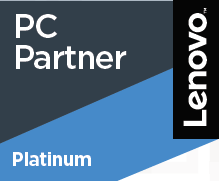 We are top level partners to leading technology companies, Hewlett Packard, Lenovo, Dell, Cisco. 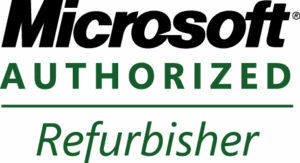 Green IT deals with the management of IT equipment and organising the recovery and disposal of used equipment. The aim of our environmental policy is to save the environment that surrounds us. We base our decisions on environmental values. We reuse equipment’s packages, to reduce waste. If possible we prolong devices usage to maximum, even only by components, to use equipment as long as possible. At the end we scrap devices through our partner Weerec Ltd and their main set matches with ours: cleaner surrounding – better life environment to all of us! Our aim is conduct our business responsibly. Green IT customers act in various business areas. We have a total of over 150 business and public sector customers who have acquired over 70,000 individual IT devices from us. Here are some examples from our larger customers today. In the Trade and Service sectors urgently needed immediately to resume work when IT fails. IT is crucial for these businesses, as work must be able to continue despite the malfunctioning of IT systems. A computer park rental service allows the cost of an asset to fit into several budget years of the Public sector. It will help them to acquire a decent computer park. In addition, upon expiration of their devices usage, they will dismiss the assets easily without extra work (secure data deletion and disposal). In Nordecon we never had to regret our decision to switch to computer equipment rental. Associated cost planning and control in our businesses is easier and certainly more accurate than ever before. Wonderful Green IT staff are the cherry on the cake. 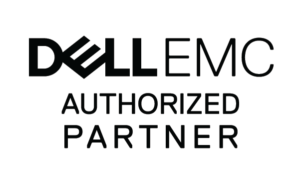 We have the largest networking partner in Baltic IT equipment financing. Our funding partners are large banking groups with long-term finance business experience. The asset itself is collateral, other assets of the company can be a guarantee of other liabilities. The cost of the device is evenly distributed over the entire life cycle of the device, allowing faster cost-benefit. We are also partners with world biggest equipment vendors, therefore we can ensure high quality of equipment and best quotation to our customers.